Total sadness. 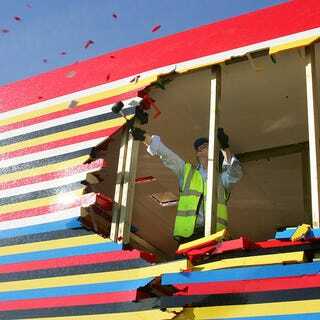 It finally happened and James May's beautiful Lego House met its destiny. It has been destroyed. See the results in the following gallery and cry. Yes, my friends, now you won't be able to take a poop in its fully functioning John, made of actual Lego bricks like the rest of the house.